It was thrilling to watch Maria Sharapova capture her first French Open title, garnering a career grand slam, sinking to her knees on Court Phillippe Chatrier. The French Open represented the last jewel in her grand slam tiara, having won titles at Wimbledon, Flushing Meadows and Melbourne. Equally as compelling was Rafael Nadal’s resurgence to capture his seventh French Open Crown. These were two of the great moments of the tournament. Yet, of all of the grand slam tournaments held throughout the tennis season, the least favorite for this avid tennis fan and author, is the French Open. 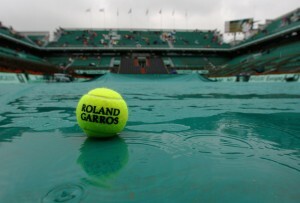 Watching matches on the grounds of Stade Roland Garros leaves one feeling gritty and drained. Viewers must endure unending, painful encounters on the red dirt where the participants grunt and grumble—often an induced by-product of countless strokes ending when one of the players runs out of gas. The only time since 2005 that the winner of men’s final has ever been in doubt was when Rafael Nadal was not playing—which happened once in the past eight years. So who needs to watch it, you ask? 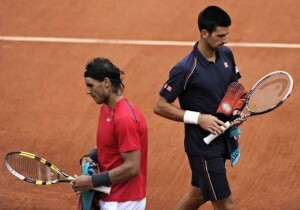 Rafael Nadal tortured Novak Djokovic for four sets during the 2012 French Open. Unless you are some sort of a sadist who gets your kicks out of seeing how inept Nadal can make the guy on the other side of the net look—just watching the scores blink by on your computer screen is good enough. As for the ladies – making the French Open final has been a crapshoot from start to finish since Justine Henin retired from the sport in 2008. This fact alone makes it much more exciting than the men’s draw but fifty times as frustrating. Talk about parity! There is parity in the top 50 in the women’s game when it comes to the slams since Serena Williams suffered her foot injury in 2010. Perhaps Sharapova’s rise to the top of the rankings will mark the end of this current trend. 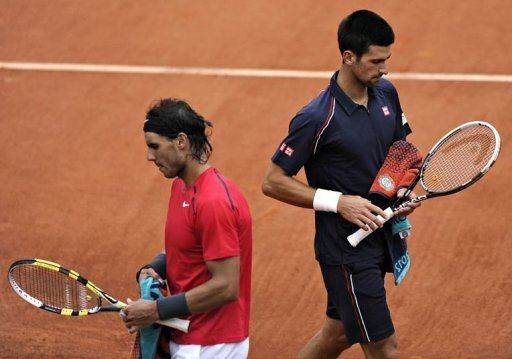 As for the French Open itself—here are five things no one will miss.